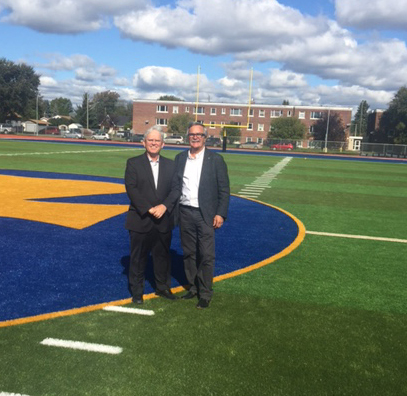 While attending the North West Region Meeting Pat Daly and Chair of the Thunder Bay Catholic DSB Bob Hupka admire the new state of the art artificial turf playing field recently installed at St. Patrick’s Catholic Secondary school . OCSTA’s annual fall Regional Meetings launched in September and will wrap up with the North East Regional Meeting on October 14. Board Updates: as is our practice at Regional Meetings, each board had an opportunity to present a brief overview of the major challenges and opportunities they are facing at this time. Copies of presentations will be collated and sent with a brief OCSTA report to every board. Sharing of Facilities: Nick Milanetti facilitated an interactive discussion on the ideas, concerns and challenges boards forsee on this topic. Your membership login credentials will be required. If you can not locate that information, please contact Ashlee Cabral at acabral@ocsta.on.ca / 416-932-9460. 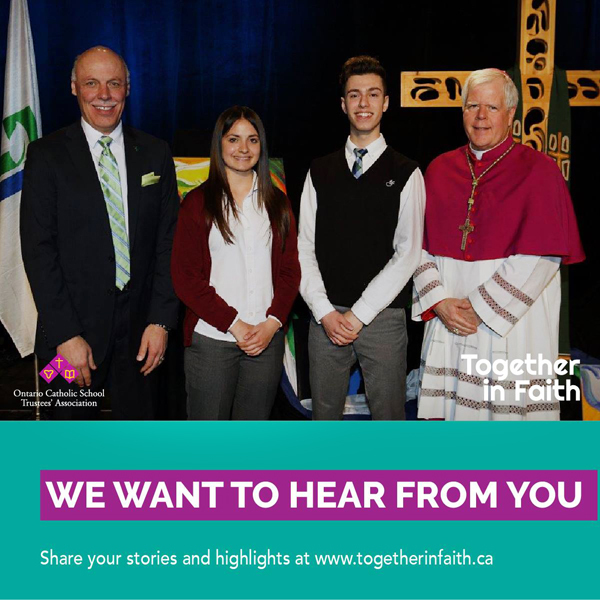 With the support of these two essential partners, OCSTA’s Together in Faith campaign can receive the momentum and direction needed to reach and engage as many of Ontario’s 3 million Catholics as possible. 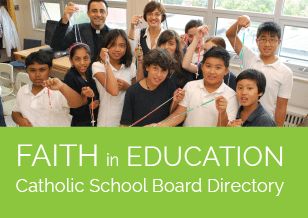 Achieving this goal will help to ensure the protection of publicly funded Catholic education in Ontario and strengthen the Church’s essential mission of evangelization. Every October, the Ontario Association of Children’s Aid Societies (OACAS) and Children’s Aid Societies run a Child Abuse Prevention Month (CAPM) campaign to educate key partners and the public about the importance of calling Children’s Aid if they have concerns about the safety and well-being of a child. The campaign includes a day of action called Dress Purple Day, based on the purple ribbon which symbolizes the campaign. This year Dress Purple Day takes place on Tuesday, October 24. For the last two years OACAS and CASs have primarily focused the CAPM campaign on building relationships with boards of education and schools, in recognition that we are key partners in keeping kids safe. (More than a third of referrals are made to CASs every year by teachers and schools.) Last year 37 Ontario school boards partnered with their local CAS in the CAPM campaign, including 19 English and French Catholic boards of education. This partnership included engaging hundreds of schools and students in Dress Purple Day. This year OACAS has worked with Boost Child & Youth Advocacy Centre and Windsor-Essex Children’s Aid Society to develop Dress Purple Classroom Resources, in response to feedback from boards of education, schools, and teachers looking for more detailed messaging to provide their students during CAPM and Dress Purple Day. These materials have also been developed to support key recommendations from the Inquests into the deaths of Jeffrey Baldwin and Katelynn Sampson. Inquest recommendations included the need to develop age appropriate curriculum for students about child abuse and neglect, to raise awareness about duty to report with school staff and the public, and to support collaborative projects between CASs and boards of education. Dress Purple Classroom Resources are available at this link. Durham Catholic District School Board Superintendent Janine Bowyer talks about why her board of education decided to join the Child Abuse Prevention Month campaign here. General campaign materials, including key messages, are also available on the OACAS website. This workshop provides a technical explanation of how to create accessible web content. Web developers will come away with a in-depth understanding of the Web Content Accessibility Guidelines (WCAG) 2.0, the AODA requirements for website accessibility, and how to achieve WCAG 2.0 website conformance. This workshop is ideal for those who have already taken the Introduction to Website Accessibility workshop, or those who already have some familiarity with digital accessibility concepts. This hands-on workshop will give participants the knowledge and tools required to gauge the accessibility of web content. The session takes an applied look at Web Content Accessibility Guidelines (WCAG 2.0) by explaining how to assess and implement each web accessibility success-criterion. The workshop includes a hands-on exercise where participants will get a chance to review a website or document against WCAG 2.0. Accessiblity Ontario is providing discount on registrations and that discount expires on October 4th. 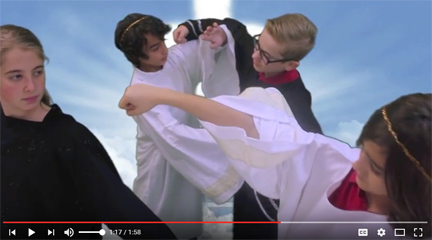 We’re pleased to announce that Stewards of Creation is the theme for OCSTA’s 2017 Short-Video Contest for students in grades 4-12 at Ontario’s publicly funded Catholic schools. This theme invites students to demonstrate in a 2-minute video how they are protecting and caring for the natural, living environment that God has entrusted to humanity. PUBLIC SCREENING OF ALL SUBMISSIONS! All submissions that meet contest guideline requirements will be shared with the public throughout the year via the OCSTA YouTube channel. 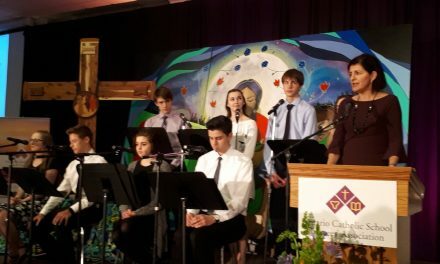 In this way we hope that more parents, students, teachers, parishioners, and friends of Catholic education will be able to enjoy these presentations. 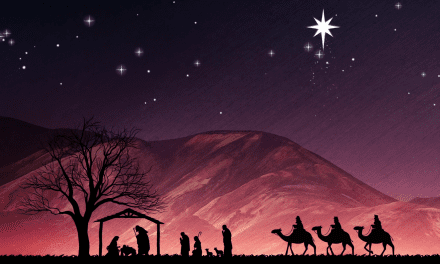 The winning entries will be announced at OCSTA’s annual Catholic Trustees Seminar in January.